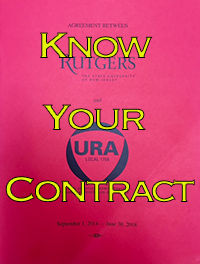 WHEREAS, the membership and the leadership of the URA‐AFT deserve and desire a finalized contract settlement in May of 2019 that is fair and responsive to the needs and recognizes the value of the general membership at Rutgers. 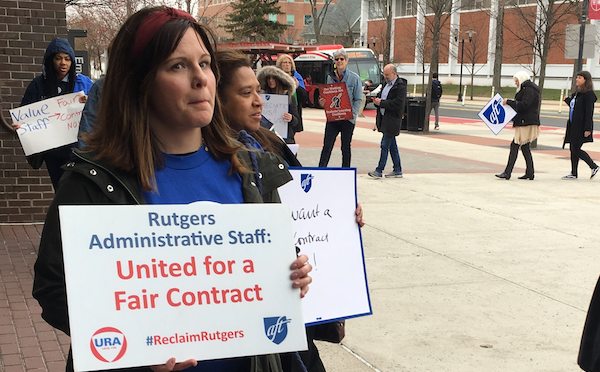 WHEREAS, Rutgers University’s management team has delayed negotiations purposefully, failed to engage in meaningful proposal exchanges over issues deemed of great value to the membership, and has committed multiple unfair labor practices since negotiations began in April 2018. WHEREAS, at this time we are faced with outside pressures from other unions settling too early on harmful agreements and the remaining unions are in alignment with URA‐AFT that fair agreements over medical insurance, FMLA, fair wages and other economics proposals, and union security are priorities. And that these same unions have in some cases authorized a strike or charged their membership with escalation efforts to push management to settle fairly over these major outstanding issues. 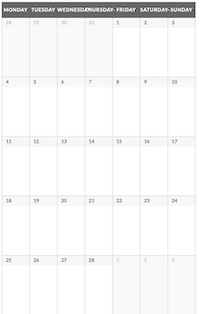 THEREFORE, be it resolved, the Executive Board (Board) of the URA‐AFT authorizes and will strongly encourage and see through an escalation of membership mobilization effort during the month of April 2019 and long as deemed necessary by the Board or general membership thereafter in support of a fair contract that pushes Rutgers’ management team to agree with its remaining priority proposals on medical insurance, FMLA, fair wages and other economics proposals, union security, job/career advancement and quality, and job security. THEREFORE, be it resolved, the Executive Board of the URA‐AFT charges the bargaining team comprised of voting committee members previously authorized, will hold firm on such proposals when facing managements’ negotiators and will not bring forth a final agreement if and until the will of the general membership has demonstrated its mobilization and escalation efforts to its fullest abilities. THEREFORE, be it resolved, that the Executive Board will train itself, all stewards, building representatives and other workplace leaders on an escalation plan that it will see through to its fullest capacity, effort and resources immediately. The general membership of the URA‐AFT will be involved to the fullest extent possible to participate in its own vested outcome of these negotiations and supportive mobilization plan. The URA‐AFT bargaining team met with management’s team again yesterday to negotiate. The meeting was less than productive and management’s proposals — particularly on salary — continue to be insulting and unresponsive to our needs on how we structure the raises. We did however make some progress on other proposals. 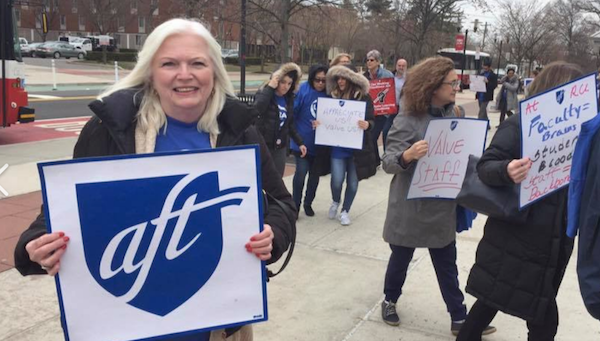 Our bargaining team knows this contract could be settled in May, but not if management continues to disrespect the URA‐AFT. Therefore, your actions and pressure away from the table needs to continue. URA members came out to rally prior to the University Senate meeting and call on President Barchi and the university’s governing boards to show respect for workers. Here are questions for the Senate, Governors and President Barchi. 1. “Your role is to advise on areas including budget priorities, allocations, and general planning.” My question for you is—do you believe URA‐AFT staff are valuable to this university? And if so what are you doing to demonstrate our value with budgeting and allocations? If you are not sure, we have some very reasonable salary demands that you can allocate. 2. URA‐AFT staff serves the students, faculty and the community at large. We are integral to the operations of this University. Yet we are consistently overlooked and undervalued. How can the Senate help management understand that the University depends on our work, every day for almost everything? 3. 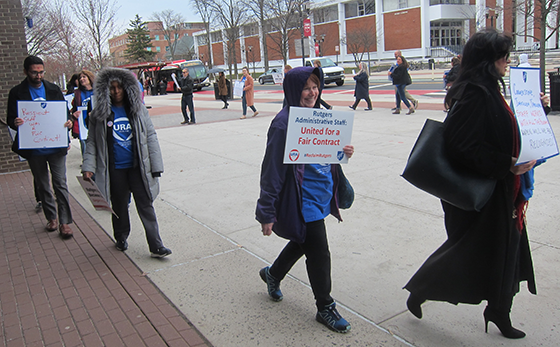 FMLA is a medical and family leave entitlement that Rutgers negotiators are trying water down with its bargaining proposals. And sick time is an earned benefit here at Rutgers. Are you aware that the University unilaterally changed its FMLA policy without agreement by the union? What will you do to ensure the University stops violating the law?